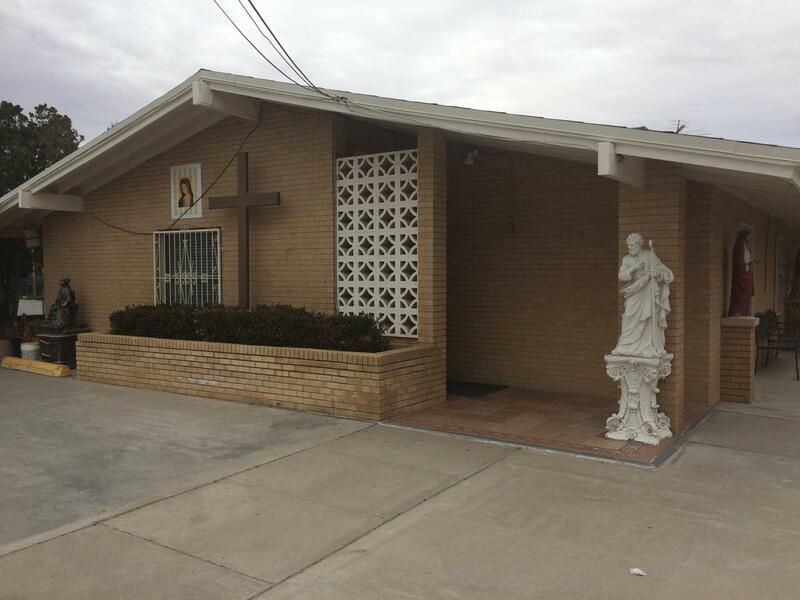 The Parish of Saint Anthony in the town of Anthony (New Mexico, United States) continues its work with the petitioners of asylum in the United States, through a shelter, in collaboration with the Diocese of Las Cruces. 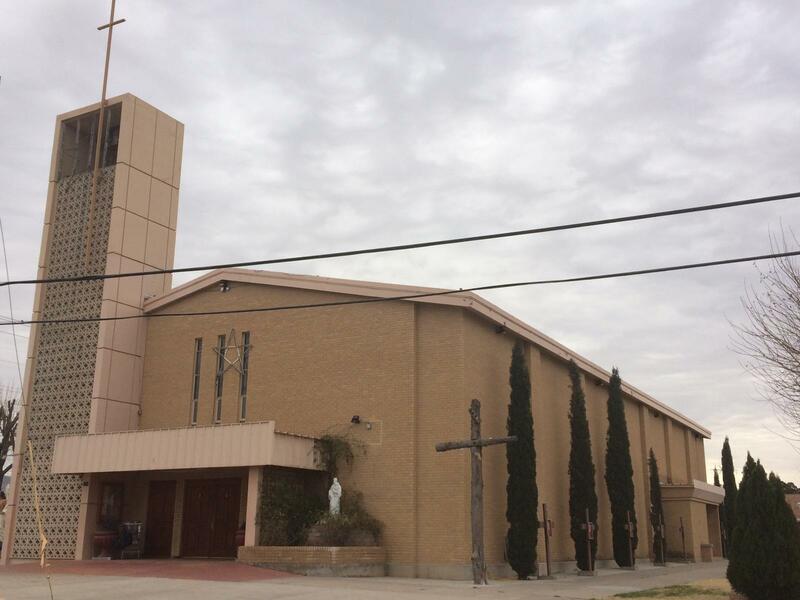 The Parish of Saint Anthony in the town of Anthony (New Mexico, United States) has been working for months with the migrants through a program of the Diocese of Las Cruces, which has several shelters (including Anthony's) for people who have requested asylum or shelter on the nearby border between Ciudad Juárez (Chihuahua, Mexico) and El Paso (Texas, USA). 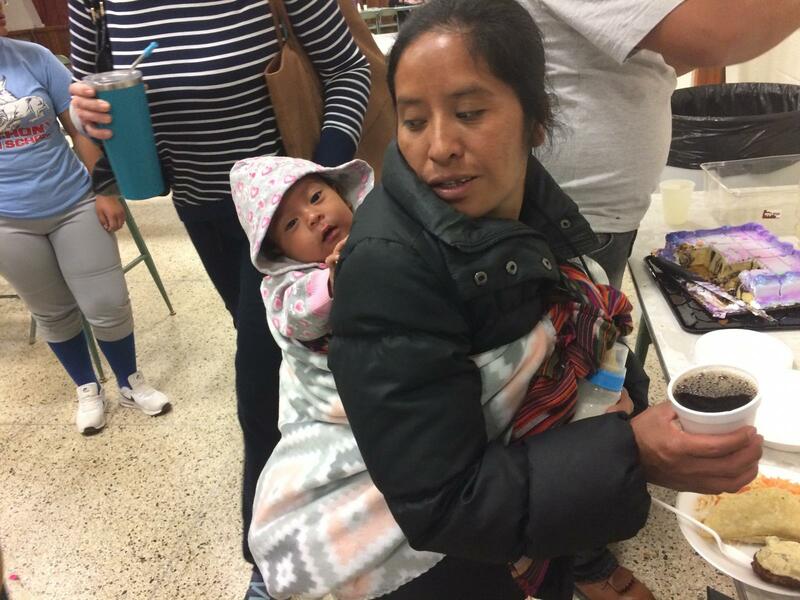 Once the first steps are taken, in case of entering the asylum program, these people can enter the United States, although with electronic means of location, and go to some place where they have relatives or acquaintances throughout the national territory. 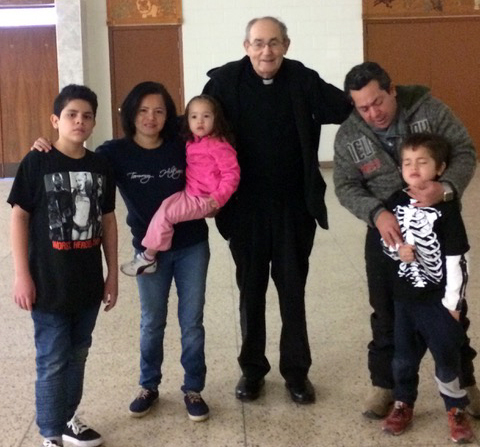 Once they pass the border until they can go with some of their relatives, the Catholic Church gives them shelter. 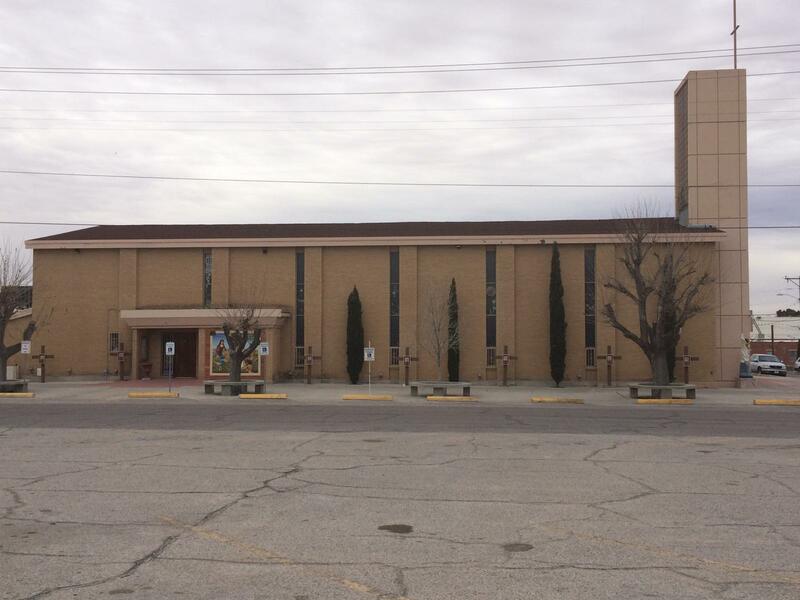 This question is asked by the Augustinian Recollect Ricardo Hinojal, who has been working in the parishes of the Augustinian Recollects in the States of Texas and New Mexico, and is now a member of the Anthony community . 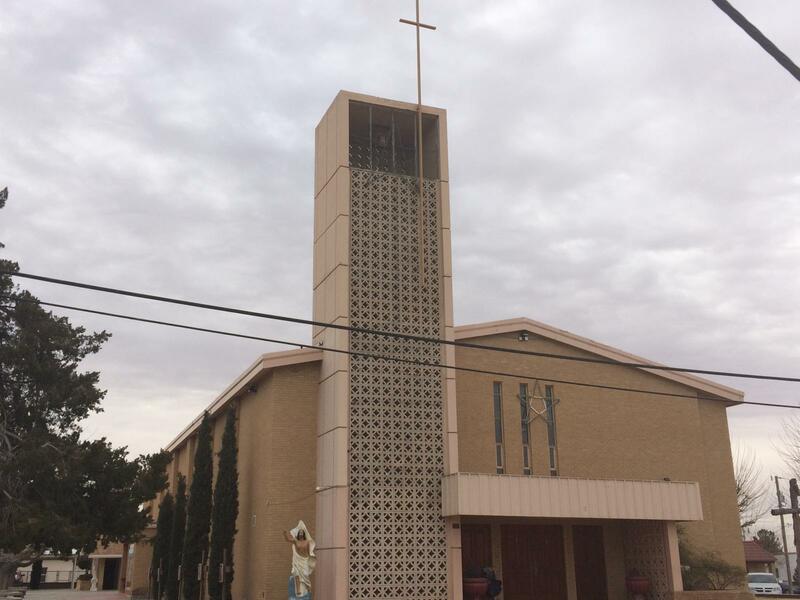 In fact, there are many churches of different Christian denominations who have joined in the task of helping the weakest members of society, in this case migrants. 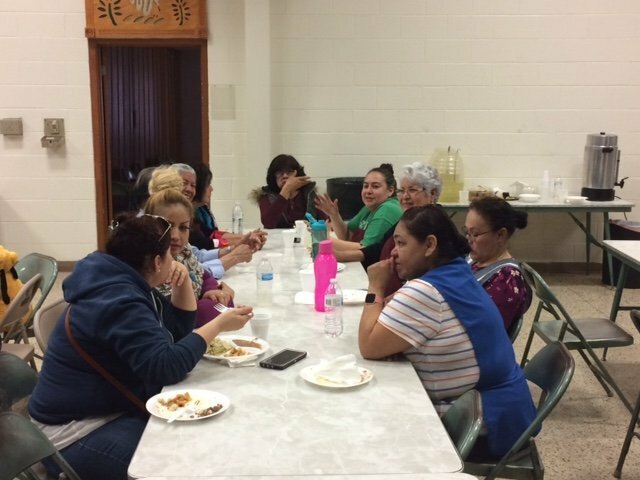 The Parish of Saint Anthony welcomes every Monday 20 petitioning families of refugee status and asylum. With a team of volunteers, they are assisted in all their primary needs (food, hygiene and cleanliness, clothing, shelter) and their travel to meet with their families is arranged, which usually takes place within a maximum of 48 hours upon arriving in Anthony. 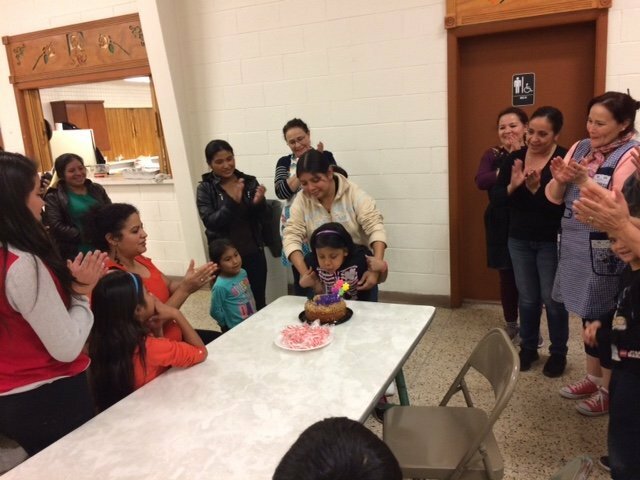 ”The change they go through when they arrive in our parish is impossible to describe, it's 180 degrees compared to what they have lived so far. 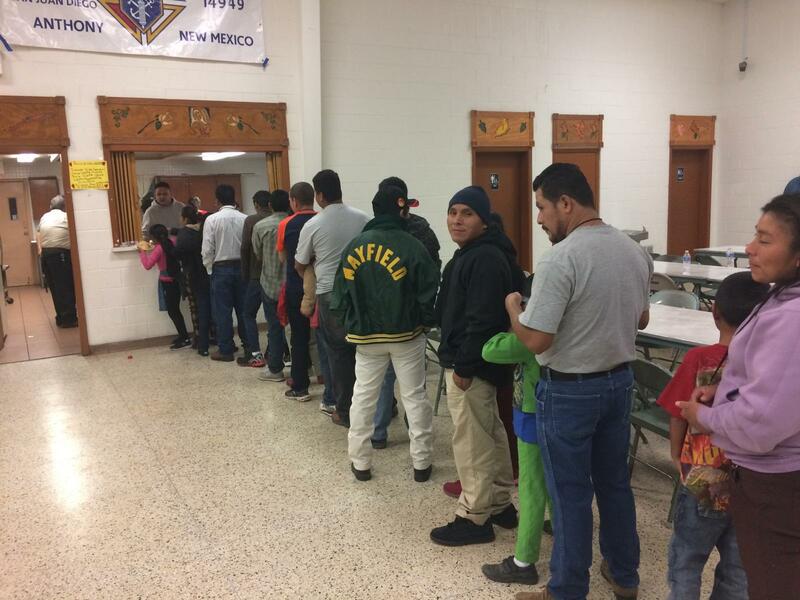 All the volunteers are placed at the entrance of the hall, and when the families desembark the bus of La Migra (Border Police), they are given a welcome applause; some cry, others cannot believe it. They have gone through so many difficulties since they left their homes that what they see seems impossible." ”The families we receive are usually of an adult with a child, only in some cases is it a married couple with a son or two. The minors are the guarantee to pass the border, since one of the conditions is usually that someone claim those minors in the United States." They all arrive with their electronic locator on their ankles; when they reach their final destination they will have to appear before a judge who will decide regarding their stay in the country. 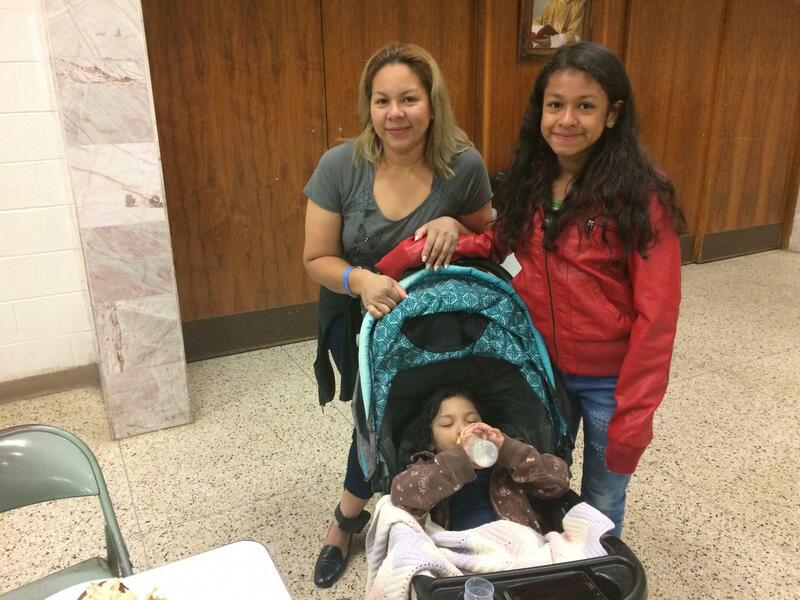 Glany is the mother of two girls : Nicole, 5, and Taty, 3. 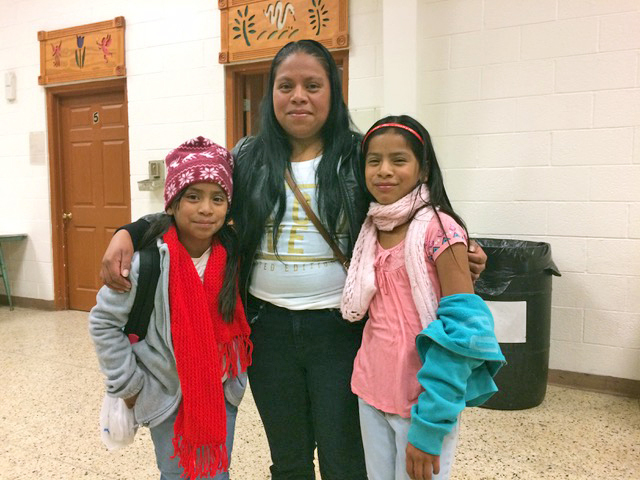 They left their homeland in Guatemala 15 days ago. Five of those days were on buses and trains until they arrived in El Paso, where they were held for ten days in the “detention site” of the border police. There they were given a small ration of food, of such poor quality that Glany suffered a congestion and she had to be admitted in the hospital. The girls also got sick, with a high fever, but they only healed because their small bodies clung to life and fought hard, because they did not have medical treatment at any time. 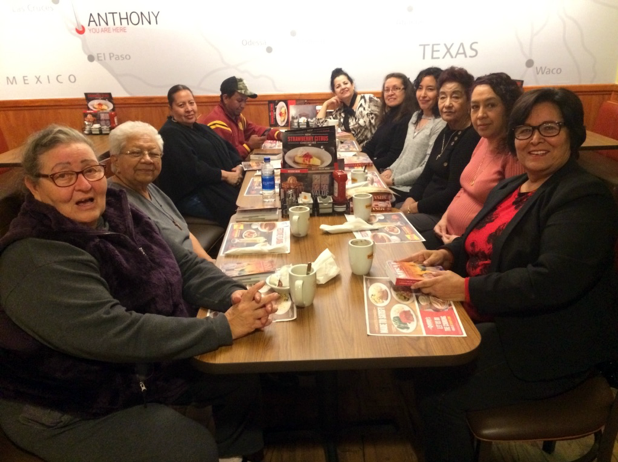 Glany is already in Anthony and needs to travel across the country and get to Chicago, where they will travel another two days to meet up with her partner and father. In their faces you can see joy and hope; although the distance is still long, they have reached the last stage. Robert travels with his son Noel, 16 years old. It took him a month to arrive from Honduras. On the border of Mexico they treated him very badly and, after much discussion, he was taken to jail, where they had to live with those convicted of crimes. 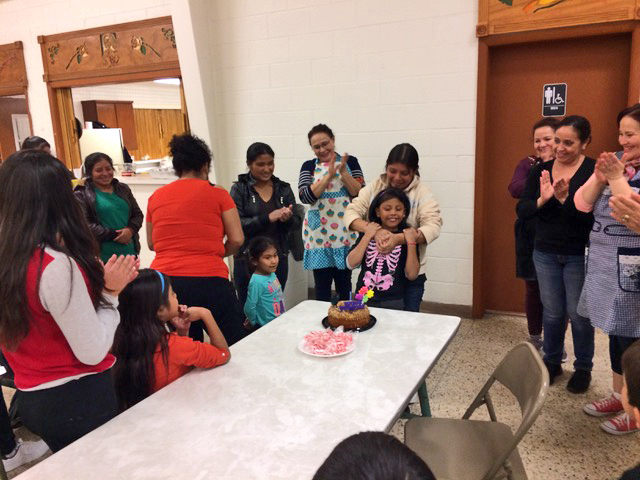 After a few days, Mexican authorities put them on an airplane and returned them to Honduras. Robert was tired, he did not want to repeat the same experience; but his son Noel convinced him to try again. 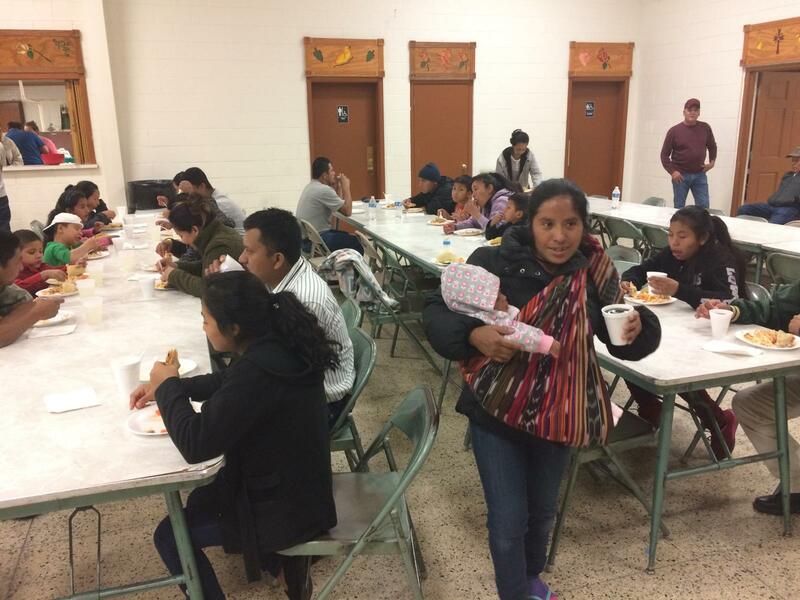 They were able to cross the border this time, although they turned a deaf ear to the promises of the mafias that if they stayed for a month in retention centers for migrants they would take care of their residency. 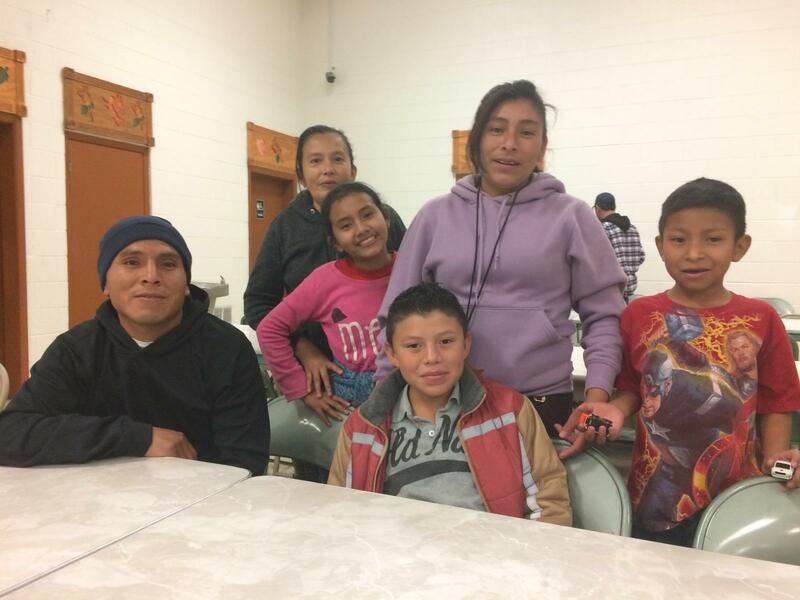 At the border of El Paso they were held for ten days by the border police, until they were allowed to pass and arrived at Anthony, their first night in the country. Robert is very outgoing, a talker, he said he had no words to thank the volunteers for what he had received in Anthony. The same night he was able to arrange his trip to Dallas, where Roberto's brother lives. 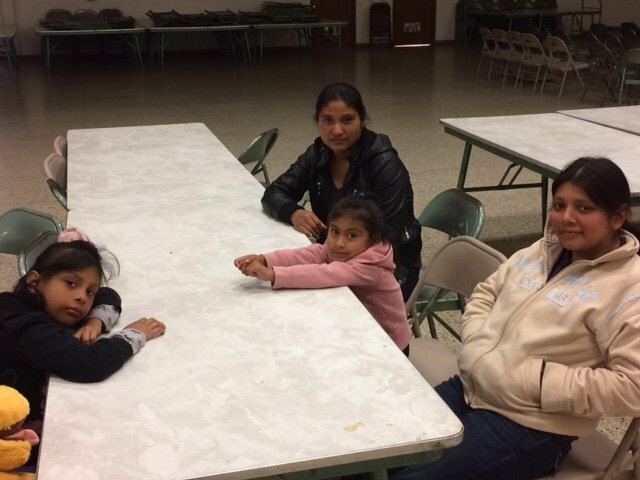 This Salvadoran family left their country in June 2018: it has been seven months, now that they are on the other side of the border, their experience seems scripted out of a scary movie or adventure. Pedro and María are with their children Diego (6 years old with heart disease), Luis (4 years old) and Alicia (2 years old). On their journey they experienced kidnapping, robbery, death threats, extortion, aimless runaways, being victims of mafias, cartels, and abusers of all types. In El Salvador they were a well-to-do family, with a car dealership. Everything was fine until the gangs began to extort money; Pedro denounced them, but the Prosecutor's Office demanded that the complaint be made public to start acting, which was equivalent to a death sentence on the part of the gangs. The odd thing is that the same prosecutor, also threatened, had to leave the country a month after Pedro. 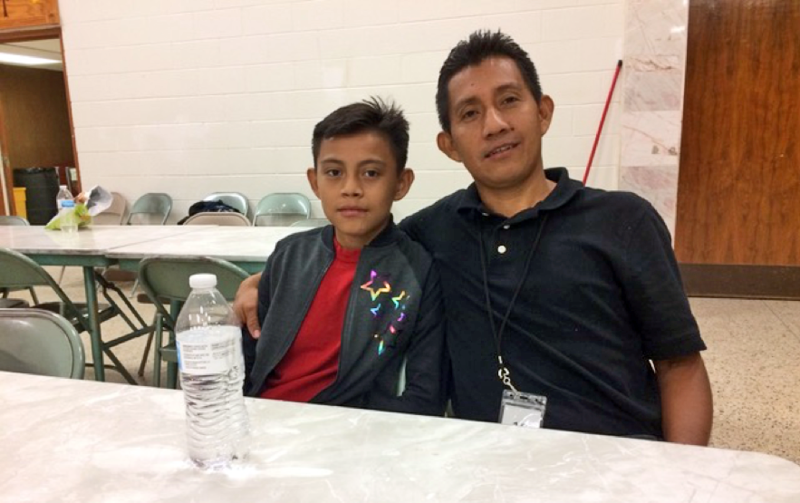 Pedro left El Salvador without knowing where he would go; he had thought of the Mexican State of Tamaulipas to offer a new life to his family. On the border between Guatemala and Mexico he was a victim of the mafias: first with extortion, then with kidnapping. While their captors were inattentive they all escaped running. After being assisted, this time without extortion, by the Federal Police of Mexico, they ended up in Mexico City. Pedro unsuccessfully tried to stay in Canada with a VISA, and that is when he set his eyes on the United States. So they decided to leave for Ciudad Juarez mounted on “La Bestia”, the famous freight train that crosses Mexico to the border of the United States. Once they arrive at the border, in principle they are rejected once again, until some lawyers advise them and they finally allow the entire family to enter the United States, mainly because after learning of Diego’s congenital heart disease. The case of Pedro (extortion of the Salvadoran “maras”, extortion of the mafias in Mexico, denial of entry into Canada and the United States) is such a classic case that, a group of lawyers wants to use it in campaigns against the president's policy on refugees and migrants.